Sylva is a very fun and picturesque small town (population 2,500) in Jackson County at the foot of the Great Smoky Mountains. Stroll its "all American" Main Street, packed with local restaurants, general store, galleries, bookshops and breweries. Visit for many events during the year, including the big Greening Up the Mountain street festival to welcome spring and Concerts on the Creek summer weekly concerts. The historic Jackson County Courthouse on Main Street was built in 1914. 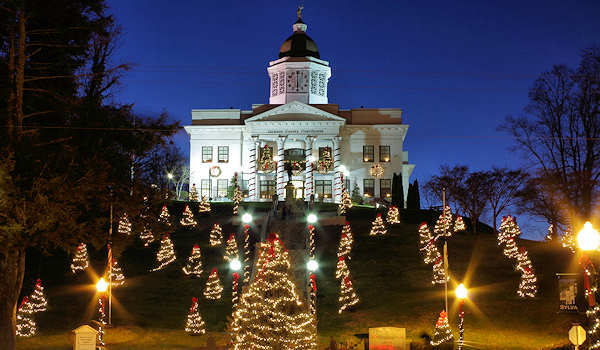 Considered to be the "most photographed courthouse" in North Carolina. the Courthouse can be reached by climbing 107 steps from Main Street - look back for a nice view of downtown and the mountains (pic below). To get plenty of ideas of things to do, stop at the Visitor Center (773 West Main St). 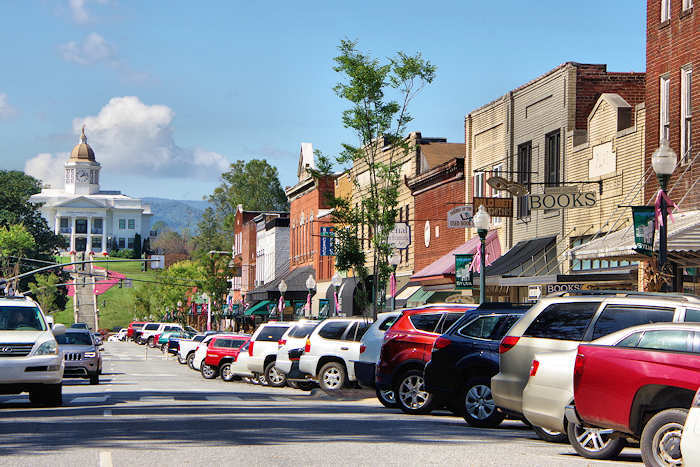 Sylva is one of our top Christmas Towns in western NC and a delightful spot for holiday shopping. Top local restaurants include Lulu's (678 West Main) and Guadalupe Cafe (606 West Main). For downhome cooking, head to The Coffee Shop (385 West Main Street), a local's favorite since 1926. Did I mention their homemade pies? And for the sweet tooth, stop at Baxley's Chocolates (628 West Main Street). 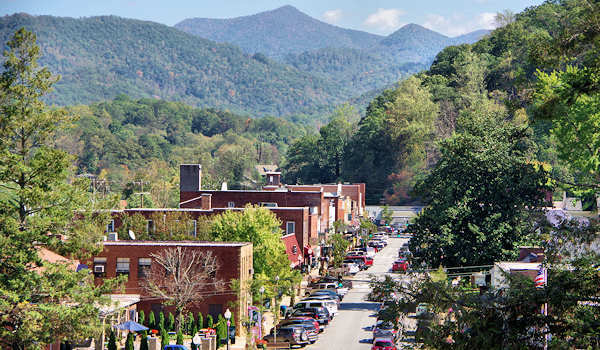 Sylva’s Main Street is home to two breweries. Innovation Brewing (414 West Main Street): With 32 brews on tap, a homemade ginger ale and three ciders, this seven-barrel brew house has a handful of mainstay traditional ales as well as several IPAs and experimental beers. Balsam Falls Brewing (506 West Main St) has 16-20 beers on tap including a rotating selection of IPAs, pale ales and sours, along with six staple beers. 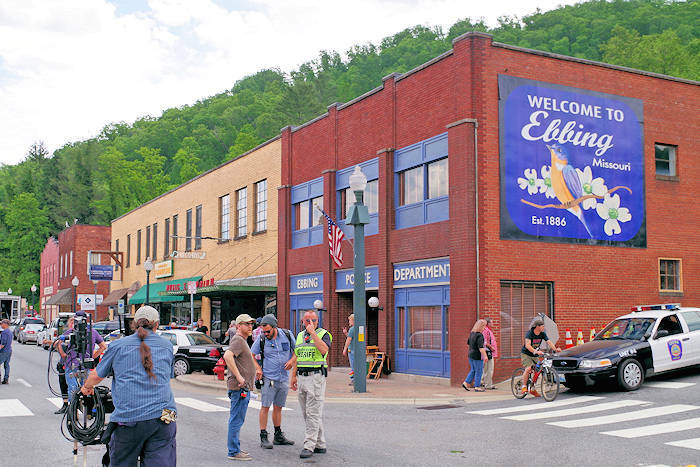 The Sylva area has hosted filming of several movies lately, including transforming downtown for the 2018 Oscar nominated movie Three Billboards Outside Ebbing (read more)! 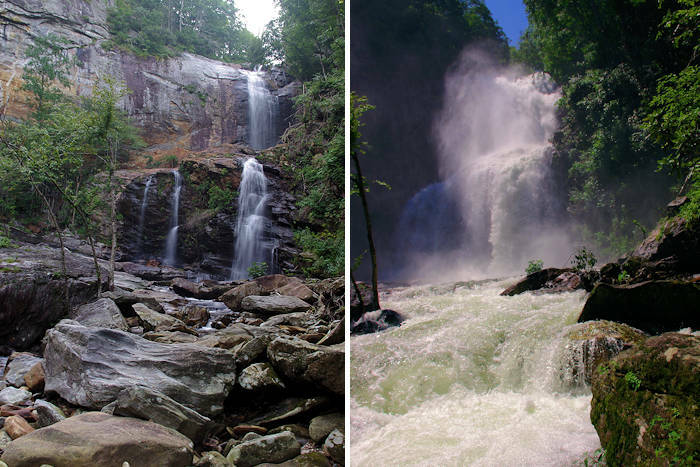 Outdoor lovers will be overwhelmed with the options for hiking, waterfalls, fishing, biking and more in the surrounding Blue Ridge Mountains - including Nantahala National Forest. In fact, the town owns Pinnacle Park with a 7-mile round-trip trek to a 5,000-ft. peak with great views. The Blue Ridge Parkway is just 11 miles from downtown via US 23 North / US 74 East. Sylva is home to the Western North Carolina Fly Fishing Trail, attracting anglers from around the world. 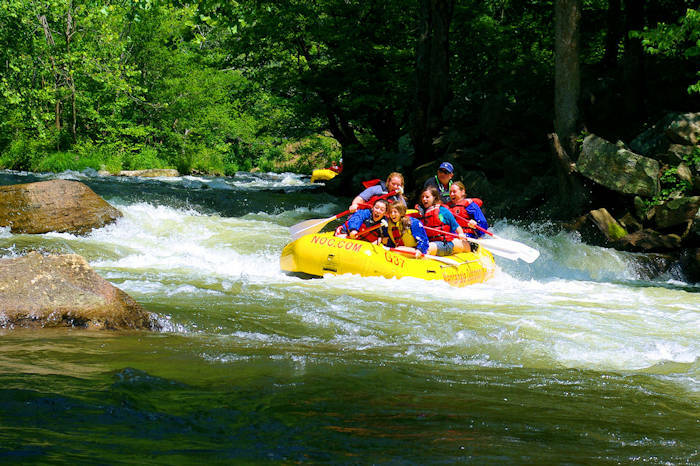 The Tuckasegee River is known for its whitewater and trout populations. 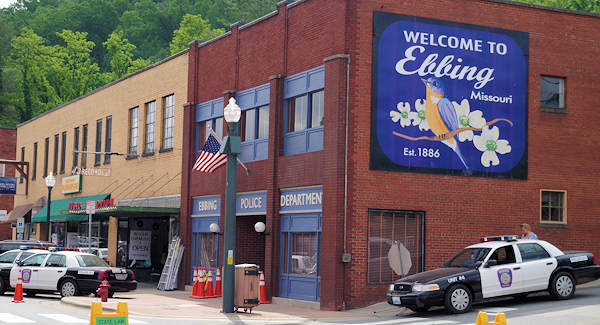 Artsy Dillsboro is just a few miles west with studios, shops and galleries, along with some great art festivals. Read more about Jackson County things to do. Western Carolina University is seven miles down the road in Cullowhee. There is great hiking on the nearby Blue Ridge Parkway, including hikes at Devil's Courthouse, Graveyard Fields, Waterrock Knob and Black Balsam Knob. 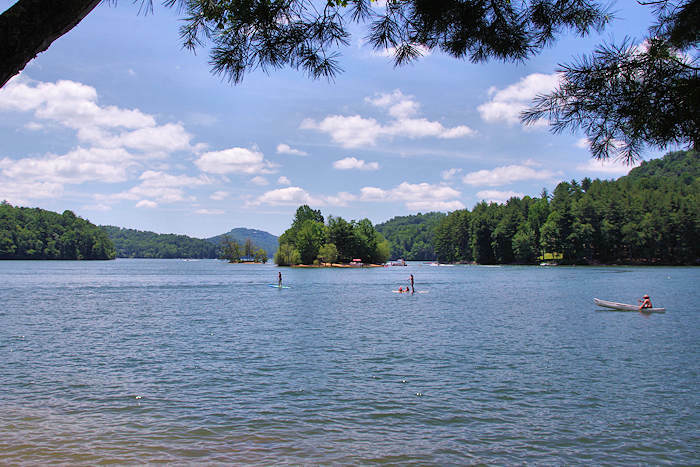 Other nearby small towns include Franklin, Cashiers, Highlands, Cherokee and Waynesville. 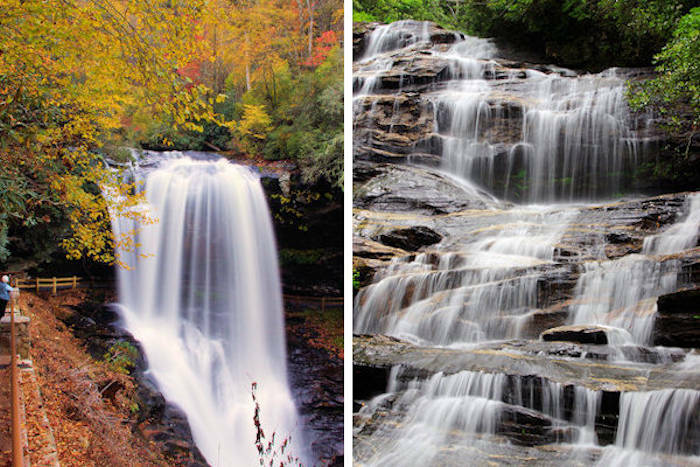 See more of our Coolest NC Mountain Small Towns. Sylva Directions from Asheville: Take I-40 West to Exit 27 and follow US Highway 74 West past Waynesville to exit 83 for downtown Sylva. 50 miles, 1 hour drive.